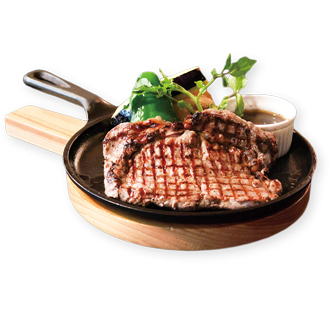 Grill Domi Kosugi | MP Kitchen Co., Ltd.
Hamburg steak and Steak restaurant with the finest work. 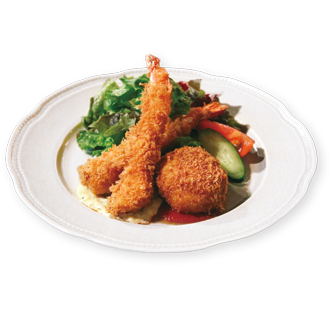 “Hamburg steak” “Sirloin steak”“Fried prawn & cream croquette” we offer diligently work through the process of cooking, especially the hamburg made from fresh domestic meat and selected ingredients is our speciality and recommend. We always serve you with a high quality service. 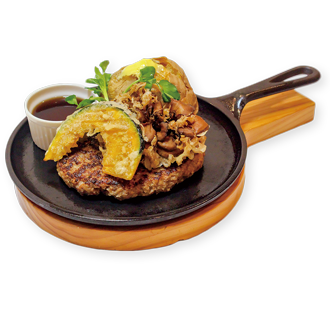 Our Hamburg steak is always freshly made. Enjoy the real freshness. Grinding meat few times a day, to keep the freshness. One of our speciality menu is “Stewed hamburg steak” which is steamed in a foil with plenty of original demiglacesauce in it, after grilled on the iron plate. 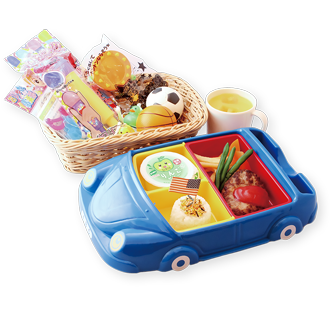 We believe this laborious process of cooking makes big smile on customers. Homemade demiglace sauce, which is made through 3days of simmering. 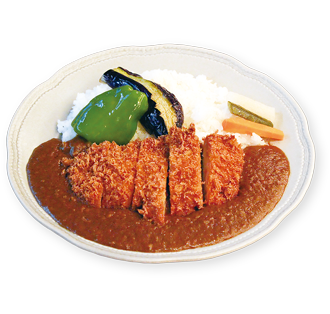 Selected beef and our original sauce which is made through a long time of stewing abundant flavoured vegetables. Every process of making the sauce is done by chef's hands. It could not be just a decoration, enjoy our exclusive premium sauce. 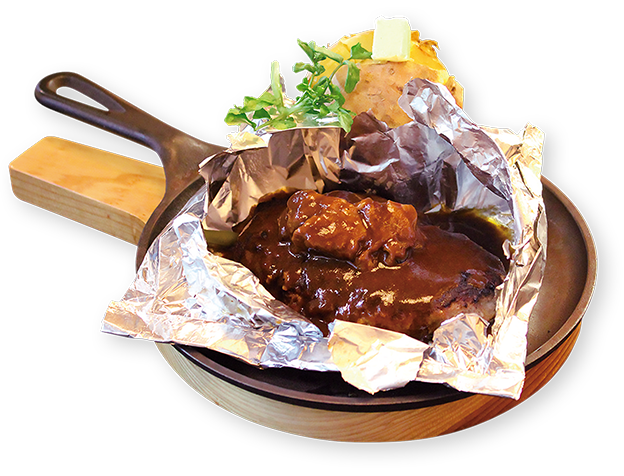 A juicy Hamburg steak grilled in foil, serves with original made demiglace sauce. Sirloin is the king of steak. 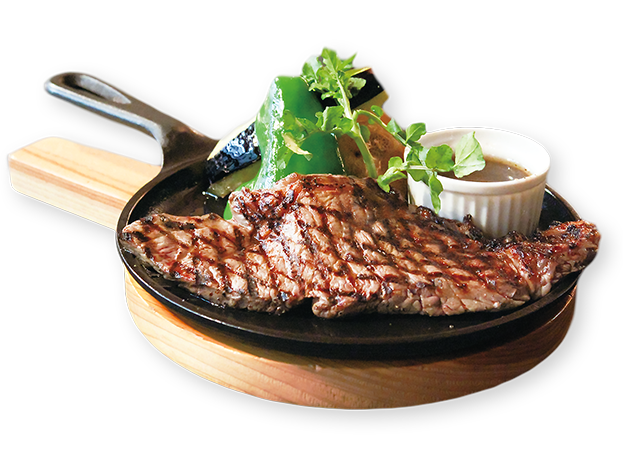 Fantastic taste of the fresh sirloin meat, which is cut just before serving. 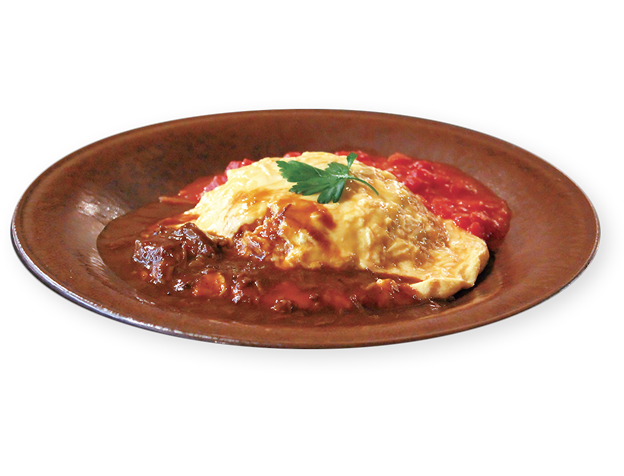 Soft-cooked omelet rice with demiglace sauce and tomato sauce on it.